Nook Color 2 Coming This Month? Apple’s popular iPad -- the undisputed champ of tablets with nearly three-quarters of the market -- may soon have some serious competition from Amazon and Barnes & Noble. New tablets from the online retailer and bookstore chain are expected to arrive shortly, just in time for the holiday shopping rush. Neither company -- each a major player in the e-book/e-reader market -- has announced a new slate. But persistent buzz says the launches are imminent. How imminent? Well, Amazon has scheduled a media event in New York City on September 28, and Barnes & Noble may unveil a new version of its Nook Color device within a month, according to the latest reports. Both the Amazon and B&N tablets are Android-based, but it's likely that neither vendor will make a big deal of the underlying OS -- which is smart, because most tablet buyers probably won't care. The focus, rather, will be on the devices' usability and their easy access to popular content: books, games, music, videos, and apps. Gift buyers may like what they see in the new Amazon and B&N tablets, particularly if rumors about the devices' sizes, specs, and prices hold true. And if the new slates cost around $250 -- half the price of the entry-level iPad -- they'll appeal to consumers who find the larger iPad too pricey. One Nook or Two? A new rumor says B&N will introduce not one, but two Nook Color tablets. Nate Hoffelder of The Digital Reader blog reported Friday that the bookseller will debut two models next month: the $249 Encore (similar to today's Nook Color); and the $349 Acclaim. The information reportedly comes from a slide used in a B&N planning meeting, an internal document that Hoffelder says his unnamed source asked him not to post. Assuming the Encore model has a 7-inch color display, what features might the Acclaim add to warrant a higher price? Perhaps an iPad-size display -- 9.7 inches or larger. The $349 Acclaim could prove an appealing, more affordable alternative to Apple's tablet. Earlier this month, Taiwanese trade publication Digitimes reported that B&N would launch a next-generation Nook Color this month. That's looking increasingly unlikely, however, as September is almost over. Citing those ever-shadowy unnamed industry sources, Digitimes says the new Nook would incorporate more tablet-like functionality, including e-mail, music, games, and other apps. Meanwhile, Amazon's upcoming tablet reportedly has a 7-inch color screen, runs a modified version of Android, and features deep hooks into Amazon's online stores. Unfortunately, we'll have to wait until Wednesday for the spec-by-spec lowdown. Amazon and Barnes & Noble will have other Android tablets to compete with, including the 7-inch Lenovo IdeaPad, a $199 Android tablet priced $50 less than today's $249 Nook Color. 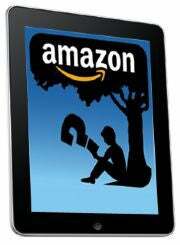 But their marketing savvy and loyal eReader user base will give them an advantage as the holiday rush gets underway. Contact Jeff Bertolucci via Twitter (@jbertolucci) or at jbertolucci.blogspot.com and follow Today @ PCWorld on Twitter.